Nora Chavez, recently named chairwoman of the CPS Energy Board of Trustees, sat down with the San Antonio Business Journal’s Sergio Chapa to talk about how the New Energy Economy is expanding opportunity in the region. 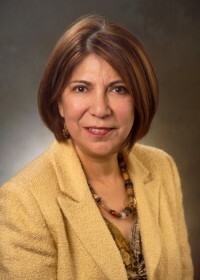 Chapa will feature Chavez in a report on Women in Energy in the print edition of the Business Journal in the coming weeks. The term “new energy economy” is often tossed around, but what does it mean to you? Click here to read the full Q&A.